I made these before I made my Salted Caramel Pecan Pie and the main reason in fact for me splurging on a pricey little jar of fleur de sel. 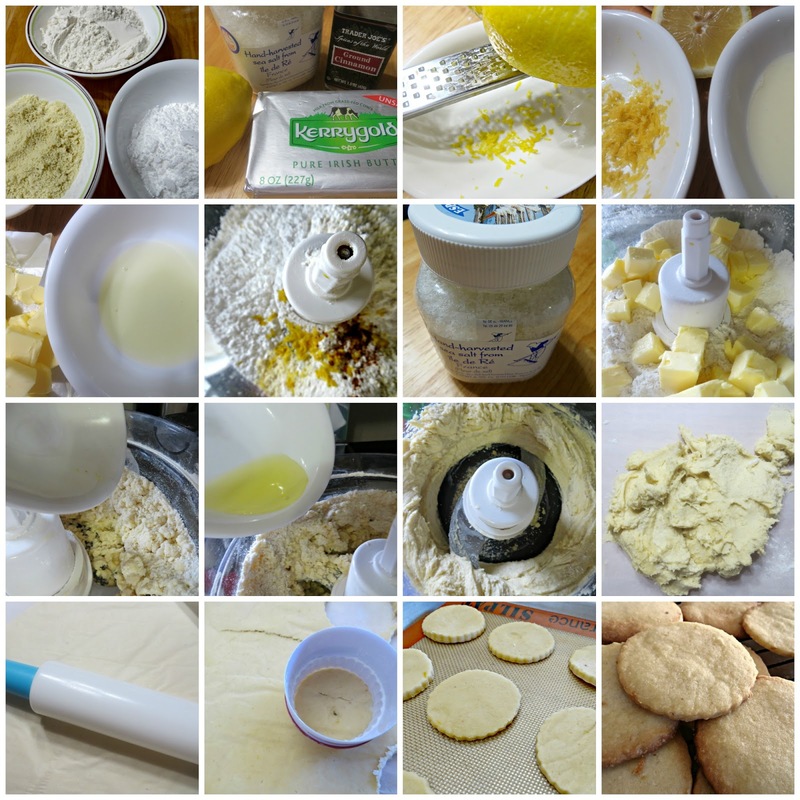 I not only wanted to make butter cookies with a real European butter but to add lemon and fleur de sel to the cookie dough as well. You know I use very little salt (or none at all) in my baked goodies so I want to know what could a couple of pinches of a $14.95 little jar of fleur de sel from Williams-Sonoma possibly do to make my butter cookies exceptional. Fresh lemon juice, lemon zest, powdered almonds and ground cinnamon are mixed with apf to make the dough along with a good European butter. This time, I used Kerrygold although I've been using Plugra for quite some time. The dough smells heavenly and can't wait to bake it. I knew exactly how the kitchen would smell as soon as the cookies start baking in the oven. In a food processor, mix together the sugar, flour, almonds, salt, cinnamon, zest. Add the butter, diced, and mix again. Add the lemon juice and egg white and give it a last whirl. 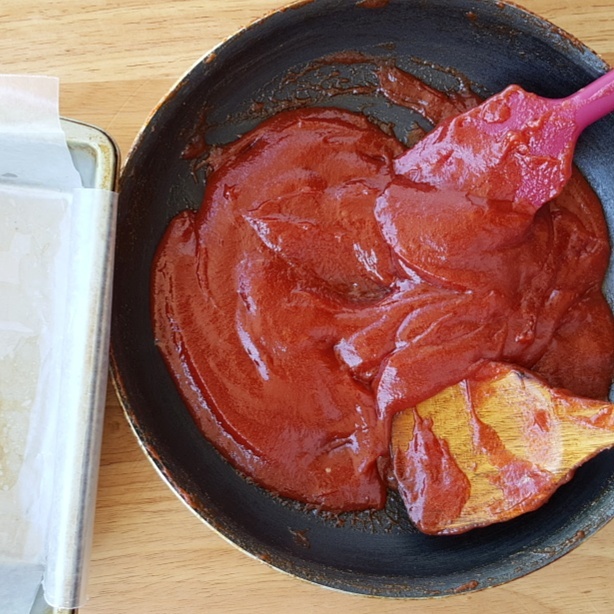 Put the dough between two sheets of parchment paper, and use a rolling pin to spread it out inside, until you get it to a thickness of about 5 mm (a bit under 1/6''). Put the dough in the fridge for about an hour. You may want to split the dough in two and work with only half at a time, thus using four sheets of parchment paper. Preheat the oven to 180°C (360°F). Take the dough out of the fridge and peel off the top sheet delicately. Use your cutest cookie shapes to cut out cookies, and place them on a cookie sheet lined with parchment paper or, even better, a silicon baking mat, not too close to one another. Put the cookie sheet in the oven to bake, keeping as close an eye on them. It will take 12 to 20 minutes for the cookies to be ready, depending on their size and thickness, and depending on how white/golden/brown you like them. Turn them out on a rack to cool. Once they've cooled down, prepare the glaze. Pour about two tablespoons of confectioner's sugar in a small bowl. Add some lemon juice, a little at a time, whisking with a spoon, until you reach the desired consistency : if it's creamy, the glazing on the cookies will be thick. If it's runny, you will get a thin layer of glazing. Don't pour too much lemon juice, because then it takes an inordinate amount of confectioner's sugar to mop it up. Using a small brush or the back of a spoon, spread a little glaze on the cookies. Leave out for a little while until the glaze has dried and hardened. 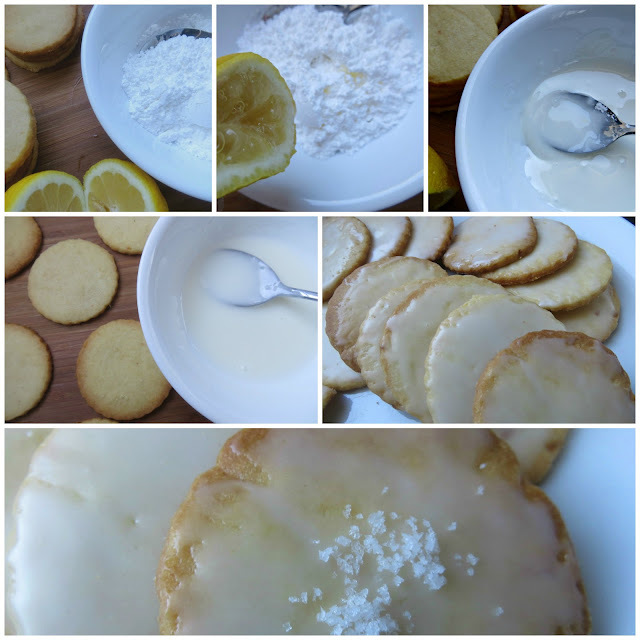 The recipe's instruction is to brush each cookie with the lemon glaze but they ended up glazed anyway and it turned out well. I love the lightly sweet and citrus-y glaze which marries well with the buttery and rich flavor of the cookies with the hint of fleur de sel. Case in point, fleur de sel does make a difference in the butter cookies. These are so delicious that I kept them all to myself lest I won't have enough to share with my friends. I'll certainly do an encore to share the wealth and using Plugra butter again because it's still the best.